Whether you are a home owner with a six bedroom country property filled with luxurious furniture from the master bedroom to the conservatory, or a young tenant taking the first steps to independence with a small flat - home contents insurance should be something on your radar. Let’s start with a quick explanation: contents insurance covers your possessions should they become damaged or stolen. It’s the insurance you rely upon should you become a victim to burglary or if there was a fire or flood which destroyed your belongings. As with all insurance, there’s the hope that you will never need to claim on it, but it’s still there to provide peace of mind. Home contents insurance doesn’t cover the building you live in, or any of the permanent fixtures (such as the bath). For that, you need Buildings Insurance. There are a multitude of options available when purchasing home contents insurance, one of the most basic is whether you go for a new-for-old policy or indemnity cover. Under a new-for-old policy, your lost or damaged items will be valued at the amount required to replace them with a new one. If your 40 inch 4K HD TV was stolen, alongside your PlayStation 4, then you will be given the money needed to buy a new 40 inch 4K HD TV and PS4. With an indemnity policy, you are reimbursed the amount your items are valued at the time of the loss. So, if you had bought a mattress five years earlier at £400, it might only be valued at £100 at the time of the loss, and £100 is all you would receive. Why not always take a new-for-old policy? Well, indemnity policies are cheaper, and may be perfectly adequate for your needs - it’s always worth knowing the options. This system uses the number of bedrooms in your home to calculate a total level of cover. It’s simple and easy to set up, but may not fit your requirements – especially if you have a number of unusual or expensive items. This is the one that makes immediate sense to most. With a sum insurer policy, you calculate the value of your possessions and report that value back to the insurer. It’s a good way to make sure your insurance matches your actual needs, but it can be quite time consuming for you to set up. An unlimited sum insured policy covers you without any limit on value, making it quick to put in place, and a guarantee that everything you own is insured. Of course, this blanket policy comes with the downside of having to pay higher premiums, but it is unaffected by any changes in your belongings – if you needed a new sofa, no matter if your previous one has devalued, you’re automatically covered. Today we take more of our valued possessions with us as we travel than any generation before. King of the mobile personal possession is the phone, with new smartphone models coming in at £1000. A personal possession clause on your home insurance means you are covered for theft and damage of these important items whether you are home or away. Not limited to smartphones, the definition of personal possessions includes keys, laptops - even your clothes and shoes if needed. When discussing your new policy with our advisors, mention your desire for the addition of the personal possession policy added onto your home insurance and they’ll be sure to find the right deal for you. Insurance moves with the advancements in technology – both offering efficient services and a range of items you can insure. Digital belongings now form a substantial part of personal items – as DVDs, CDs and books become relegated to history and replaced by their digital counterparts. Replacing lost downloads can be costly in some circumstances – digital download insurance exists to make sure that if you have your phone or laptop stolen, not only is the device replaced with your home insurance, but so are the contents. Check with our advisors about the addition of digital download insurance when you speak to them! 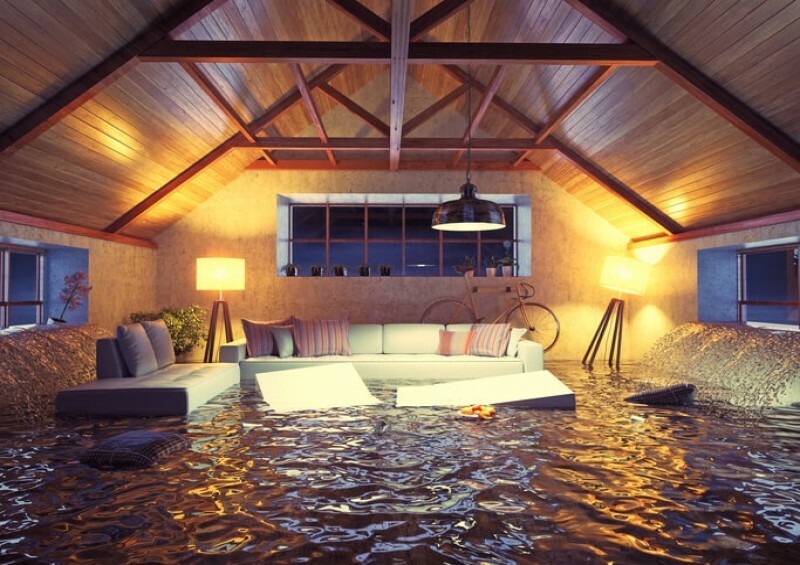 One of the other optional extras you can add to your home insurance is accidental damage cover. In most cases, if you come home to find you have been the victim of a break-in, you can relax a little, knowing that you have cover. Equally, should you return from work to find the fire brigade outside, that assurance that you will manage to rebuild is there. Spill a large bottle of red wine onto your new carpet or have your pet chew the stuffing out of the sofa, however, and things become a little murkier. Adding accidental damage onto a policy does increase the cost of premiums, but gives you peace of mind should anything a little random happen. Individual high value items need to be declared. As a general rule, standard home insurance policies have limits on high value items, often around £1500. If you wish to insure possessions that exceed this limit, you need to talk about them when making your application. Our advisors will be able to help you select the best insurance to fit around any high value items. Home insurance will tend to cover your garden furniture and shed – just because it’s outside the house, doesn’t stop it being part of the home. Some items though, such as bicycles, don’t come under the standard contents insurance and need to be added as an extra – so be sure to check such things with one of our advisors. Insurers like to minimise risk, and they reward you for doing this by lowering the cost of your monthly premiums. By far the most important thing to keep your home contents insurance down (as well as keeping your home contents safe) is to make sure your home is secure. Add security features, such as alarms and external lighting, and tell the advisor you have such measures in place when you call. Modern technology is always improving in the home security field – updating your older home security is another good idea. The excess is the predetermined amount you decide to pay before the insurance company covers the remainder. For example, if you have an excess of £100, then claiming on a stolen £800 television will return £700 from the insurer, leaving you the £100 shortfall to pay yourself. Setting a higher excess will lower the cost of your insurance as you’re taking on more of the risk personally. Make sure you set an excess that makes sense for your personal finances. Our advisors can help you decide what that should be. Rather than opting for an unlimited sum assured policy, take the time to properly evaluate the items in your home and cover them exactly. It may take more of your time, but it is going to save you money substantially over the years. It is worth noting that if you use your home for business, either as self-employed, or on a working-from-home basis, then you might not be covered for your business equipment. Discuss your specific needs with one of our advisors who can help you work out what counts as a personal item, and which is tied to the business. You can also ask our advisor to help you get the right insurance in place to make sure those business items are covered. Most insurers will only insure for a year or more, so if you’ve moved into somewhere for only a few months, you may need to find alternative ideas. People who have recently moved away from home for university, for example, may be able to extend their parents insurance to cover them. It’s worth talking to one of our advisors about your specific circumstances. Home contents insurance assumes you do not leave the property unoccupied for more than 30 days. If you are going to go on holiday for longer than a month, make sure you check with the insurer and update your policy accordingly, then you can relax and enjoy your trip! At Compare UK Quotes, we are dedicated to providing you with the best advice on getting the right home contents insurance policy for you, no matter your circumstances. Pick up the phone today and give us a call for friendly advice that will leave you at ease, knowing the possessions you have worked so hard for are covered in any situation.